How come I never heard about this before? 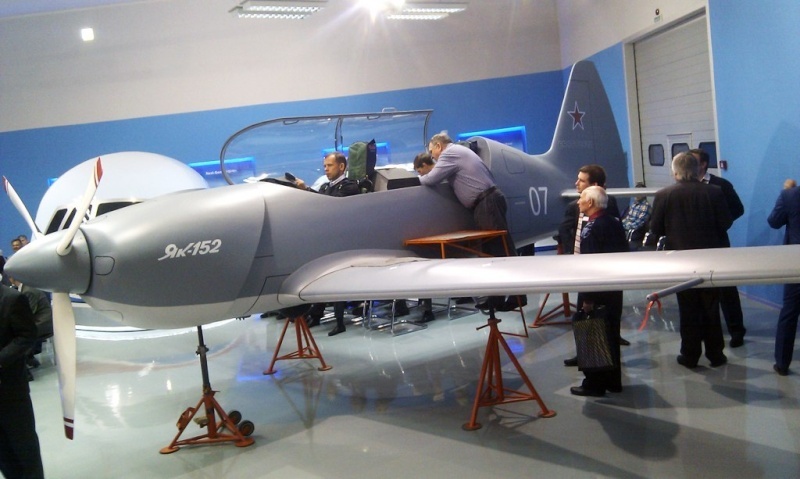 In 2015 the Irkutsk Aviation Plant will launch two samples of the light Yak-152 trainer. 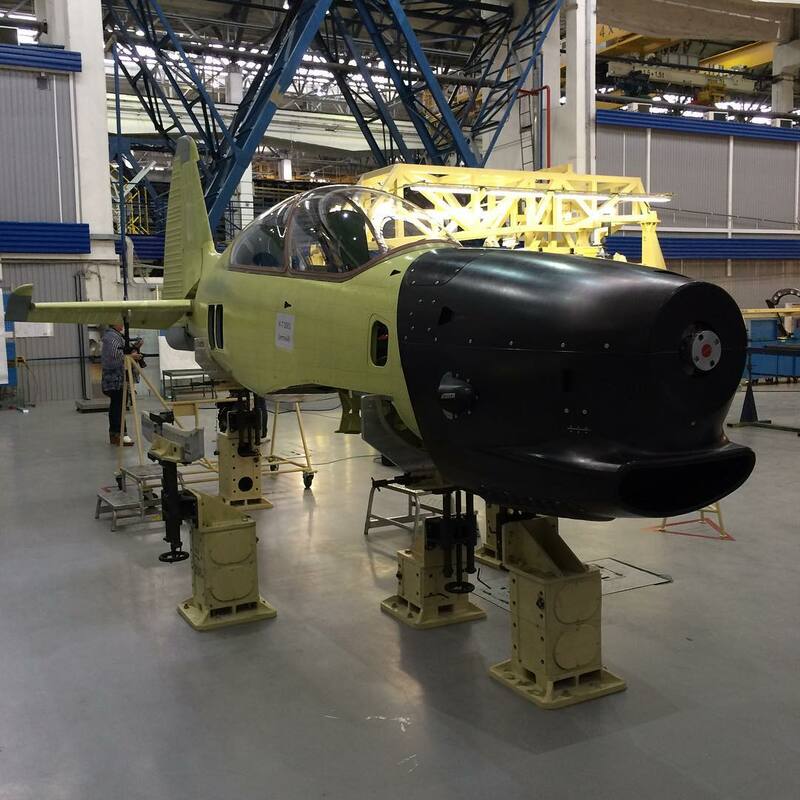 Developed by the expert Yakovlev Design Bureau, which is part of the Irkut Corporation, the new trainer is destined for primary pilot preparation. The "flying desk" will be tested in 2016, after which it will go into serial production. For initial training, the Yak-152 plans to use flight professionals from the air force academies. "In the first years of training, students will learn to fly with instructors, they will learn how to execute a simple flight known as the 'pancake' and then land," a Russian Defense Ministry spokesman told RBTH. "The training will show if the student is capable of continuing flying." According to the spokesman, the Yak-152 will help future pilots carry out highly skilled maneuvers and obtain experience with nocturnal flights and flights in difficult meteorological conditions. That is why the new trainer will be supplied with state of the art navigation equipment, as well as the CKC-94M emergency escape system. The Russian Defense Ministry says that not only future fighter and fighter-bomber pilots will train with the Yak-152, but also commanders, as well as co-pilots flying bombers, military transportation planes and even helicopters. "After acquiring the initial skills flying the Yak-152, students will then move on to specialized trainers," explained the defense spokesman. "For example, students wishing to fly the Su-35, the T-50 and even the fighter-bomber Su-34 will first train with the Yak-130. Pilots flying the Tu-22M and Tu-160 bombers will first hone their skills on the specially modified passenger Tu-134UBL plane." Remarkably, in the beginning of the 2000s American Beechcraft bought the license from Swiss manufacturers to build its own PC-9s. The plane was then renamed as the T-6B Texan-2 and is now used for training pilots not only in the U.S. Air Force and Navy, but also in Canada, Israel, Germany and even New Zealand. Meanwhile, in many countries light trainers are used as attack aircraft. In particular, the Columbian Air Force has often used the Super Tukano to launch effective strikes against narcotics bases and rebel organizations. "Now, as we see, thanks to the targeting pods and the various on-board equipment for dropping satellite-guided bombs, such as the American JDAM, the trainers are becoming an inexpensive alternative to attack aircraft, capable of hitting targets without being vulnerable to anti-aircraft systems," says Anton Lavrov, independent military expert and co-author of the book The New Russian Army. “Most rebels can defend themselves during attacks from the sky with only the MANPADS (man-portable air defense systems) and firearm. The Yak-152, besides its primary task of training pilots, could also serve as a relatively inexpensive anti-insurgency attack plane, for which there is already a big demand. Yakovlev's deputy general director of test flying, test pilot Roman Taskayev, told the ITAR-TASS news agency that "these planes should be built in great numbers and they should not be too expensive." It is the low price that must serve as the Yak-152's competitive edge on the foreign market. According to a representative of the Russian aviation industry, the Irkutsk aviation plant is now preparing construction facilities in order to begin production of the Yak-152. Interestingly enough, the new trainer will use an uncommon engine for airplane construction, a 400-horsepower diesel. The Irkutsk Aviation Plant is now receiving the technical documentation for the new plane. If everything goes as planned, by the end of the year the plant will have already produced the first construction elements, as well as the new trainer's components and assemblies. As its name suggests, the Yak-152 is an improved version of the Yak-52 prop driven trainer. GarryB wrote: As its name suggests, the Yak-152 is an improved version of the Yak-52 prop driven trainer. Got ya... Here the article made it seem like a smaller version on the -130! Agree... the old setup was Yak-52 prop basic trainer, then L-29 jet trainer, then aircraft specific trainer like the MiG-29UB or Su-27UB at an operational unit, and then on to the aircraft you are going to fly... ie MiG-29S, or Su-27P. The new setup with the Yak-152 and then the Yak-130, and then you go to an operational unit, but you can probably learn a lot more on the Yak-130 including multi engine management, and navigation and weapons training that the L-29 simply was not up to. This would mean operational trainers would be in less demand and for those that use them would need less conversion training time. i remember there was a bit of news a year or two ago about a really small initial trainer (ab initio?) but i can't find a link for it anymore... something along the lines of Zlin and such tiny aircraft. 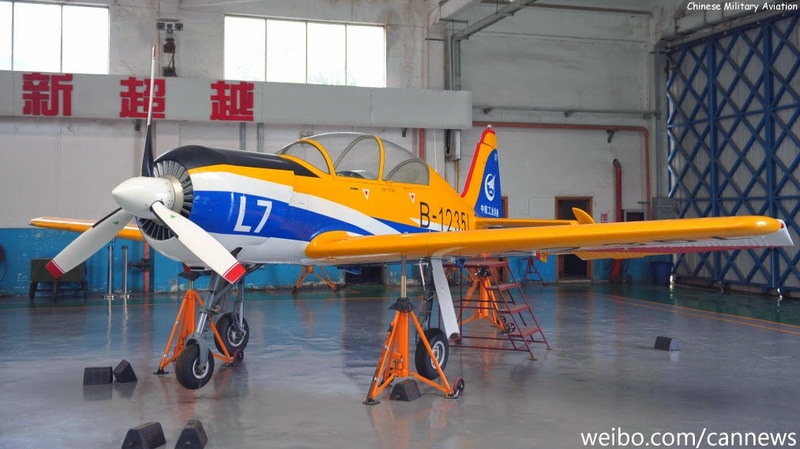 anyhow, there was some talks that yak152 and cj7 are being developed together (which would make sense as both are based on yak52 in one form or another). other than the wiki page which offers no sources, is there a proper link someplace to answer that question? Talking about PC-9 and Tucano advanced turboprop trainers, we have to know, they were designed to reduce costs for pilot trainings as they need less jet trainer flying hours, maybe even without them, to become operational air force pilot. In USSRAF/RuAF former trainers were Yak-52 and L-39. Enough for basic skills, the rest they got with UB variants of combat planes, specially with cheaper light fighters like MiG-21UB or MiG-23UB fighters. Today RuAF goes mostly for heavier twin engine combat planes, like Su-30, Su-34, Su-35, PAK-FA and even MiG-29K and MiG-35 are not light and cheap. All those new planes now have IFR capabilities and are multirole. SU-35 and PAK-FA are only single seaters, and Su-34 have WSO as second member, not fly instructor. This situation bring Yak-130 to now tasks, which L-39 didn't have. Yak-130 will have to take the role of UB variants of lighter combat planes, to make pilots ready to fly those new planes without UB variants. Yak-130 could already simulate flying caracteristics of those new planes, but for higher level, they will need to equip it with radar and IFR capabilities to fully train pilots for combat missions and for operational pilots to maintain high number of flying hours with cheaper Yak-130 hours instead of expensive Su-34 or Su-35 flying hours. Land simulators bring a lot to pilot skills and flying conditions, but real flying is still needed. RuAF should create more training centers for operational pilots (and for those, who comes from academies) with combat capable trainers to train and keep the level of flying hours without exposing too much more expensive combat jets, which will not be produced in so large numbers as those simple jets in times of USSR. Picture of Yak-152 model. I wonder if Yak-152 will have turboprop engine or usual gasoline engine? Yes, and it appears to be a "regular" engine as there isn't a large jet intake. - That being said, it is just a model. BTW, speaking about piston engines, did you check out the Rostec article I posted in the VVS thread? It talks about a new heat resistant aluminum being developed in Russia to replace titanium in aircraft engines, which will lighten the the engine weight and significantly increase fuel-efficiency. 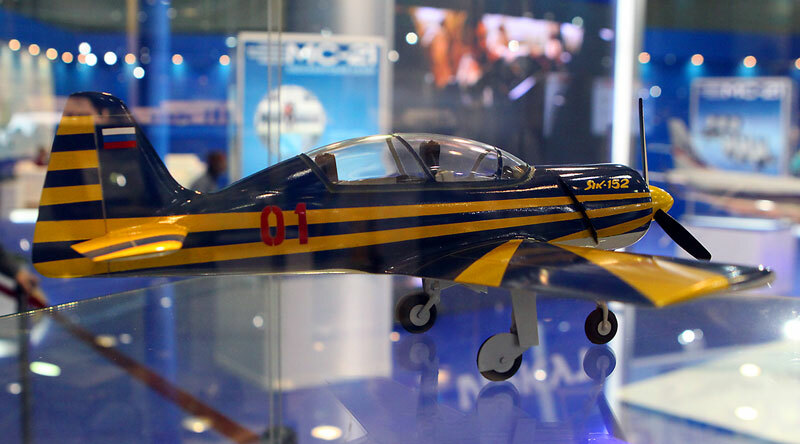 They also directly mentioned that piston engines will get a significant boost in capability, that means the Yak-152 will benefit if it has one. More info about Yak-152. If those planed caracteristics will be reached, than this will be very capable plane for basic trainer. BTW, speaking about piston engines, did you check out the Rostec article I posted in the VVS thread? An Excellent article... such improvements can create an enormous range of benefits across a range of weapon systems and technology. Tikhoretsk (Krasnodar region), 26 May -. Initial RIA Novosti summer internship at Russian military schools resumed after a break of three years - the students of the Krasnodar Higher Military Aviation School of Pilots them. AK Serov made the first training flights on the A-39 aircraft, told the commander of the Air Force (Air Force) of the Russian Federation - Deputy Commander Lieutenant General FSI Andrei Yudin. "Today is a great day for all air and space forces of Russia - for the first time after three years in the air alone soared young guys who ever replace us in our line of duty," - said Yudin. He recalled that the first flight is always preceded by a thorough theoretical training throughout the two years of study. Summer practice in grades 3, 4 and 5 courses begins in spring and lasts until 30 September. "We have reached a good competition pilot training This allows us to select the best during training, for which we will not worry This is the most important in the performance of combat missions..", - Said the commander of the Air Force. Deputy Commander in Chief also said that the plane for the initial flight training continues to be a jet plane L-39 "Albatros", while the fourth and fifth year of the future pilots gradually learn to fly on the new training aircraft Yak-130. "Every year on the plan in Borisoglebsk and Armavir arrive at least 10 Yak-130 aircraft they adapted to modern types of aircraft Yak-130 have enough sophisticated equipment and multifunction systems.." - Said Yudin. He added that in the next few years in the first schools expect revenues aircraft for initial training of the Yak-152. That sounds like the Yak-152 replaces the L.39 as the initial flight trainer. Well it would make sense to use a simple light cheap jet trainer as a stepping stone from the turboprop Yak-152 to the twin jet Yak-130 to replace the L-39. I would however suspect for countries with smaller budgets that it might play a bigger role, up to and including a light COIN role... a light weapon capacity of say two seven shot 80mm rocket pods with a targeting pod, or cannon pods or light bomb capability... say FAB-100s or whatever. Might be interesting if it can be kept cheap to buy and operate. "The Irkutsk aircraft factory proceeds to the order of the Ministry of Defense, which has ordered 150 of these machines", - quotes S. Yamanova RIA Novosti . Currently at the plant in various stages of assembly are three Yak-152. As previously reported, the Yakovlev Design Bureau. Yakovlev has won the competition to create a training aircraft for the Russian military in 2014. The work is performed under the code "Bird-Air". The contract is worth 300 million rubles. Yak-152 horizontal flight maximum speed of 300-320 km / h, maximum flight altitude - 4000 m, range - 1400 km. Normal takeoff weight - 1320 kg. The aircraft is equipped with a complex of means of emergency evacuation of the airplane ksape-152 ACS-94M2 design armchairs NPP "Zvezda", which ensures fast and secure bailout in an emergency. Yak-152 The resource must be at least 10,000 hours and 30,000 landings. Yak-152 is a stunner. Very cute. The variant without that front inlet (protrusion) looked much better. Hope they have retained the variant with M14 radial engine also since the Chinese variant is powered by the M14 if I'm not wrong. Btw, is that black material for the engine enclosure some sort of composites or fiberglass? Any chance we get to have that original UAC video presentation of Yak-152 and others?? The problem with Russian manufacturers is that they limit themselves with military orders and fail to make any plans and effort to capture the civilian market share. Hope Yak-152 doesn't get stuck in that old stuff. They need to have a civilian variant and make the Yak-152 stand out in the aerobics/trainer market. 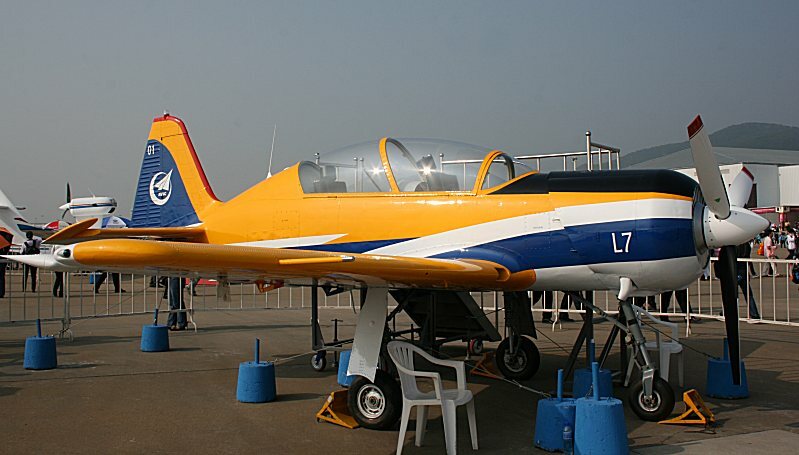 The Chinese Yak-152 version, L-7 (CJ-7) powered by 10-cyliner M14 radial engine. Maybe the Chinese version will also get a new frame less canopy in the future. Yak-152 looks great and it is nice small compact plane with a lot of space for pilots. Like the whole plane is a cabin and an engine.